Mehbooba Mufti also alleged that the J&K Governor is unnecessarily issuing orders every day which are sensitive in nature, creating apprehensions among the general public. Former Chief Minister and Peoples Democratic Party President, Mehbooba Mufti today threatened a peaceful agitation if the J&K Governor, Satya Pal Malik accedes to the demands of Leh Council for according a divisional status to the Ladakh region. There have been reports of the Governor likely passing the order, which according to Mehbooba will alienate remote regions such as Pir Panchal and Chenab valley which have not witnessed any kind of development. She further said that both Kargil and Leh regions have their respective development councils which pertain to development across these areas. Mehbooba said that that the Governor cannot take such important decisions at a time when an elected government is not in place in the state. She alleged that Governor Malik, by issuing sensitive orders on a daily basis pertaining to special privileges of the state is creating apprehensions among the minds of people and leaders. "All the mainstream parties such as PDP, National Conference, CPI and independents are on the same page when it comes to upholding the identity of the state and any act aimed at fiddling with our rights will met with resistance," she added. She added that the Governor should take into consideration the sensitivity of the state and not issue orders which he often rolls back after receiving criticism. 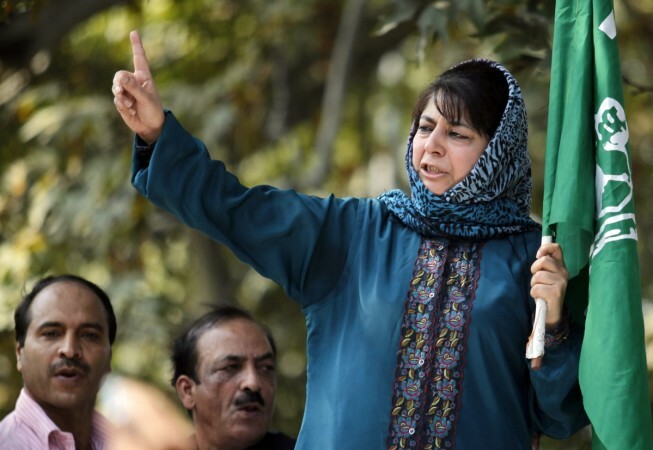 "Whether it is converting J&K Bank into a PSU, repealing of Roshni Act or the changing the criterion of PRC, these decisions should be best left to the democratic government which is elected by people," Mehbooba said. She also alleged that Malik may apparently be carrying out a specific agenda in the state and if caution is not exercised, her party will soon launch an agitation.